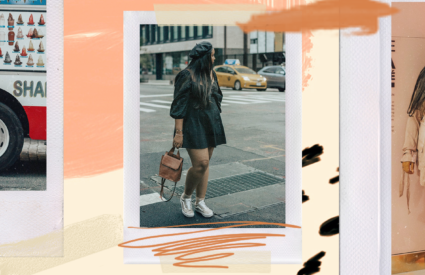 As a continuation of my 2019 intentions post, and by popular demand, I wanted to share how I created my own vision board this year. 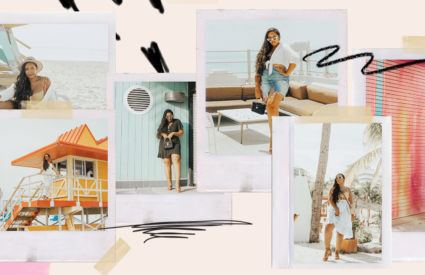 Last year, I started creating virtual vision boards that serve as the wallpaper on my laptop, but I wanted to make something more tangible that I could connect with on a daily basis, without my laptop. 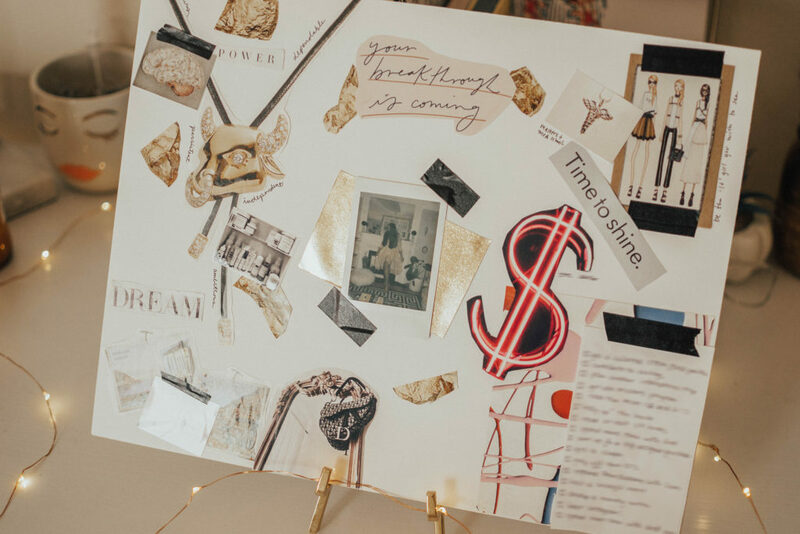 Before you physically create your vision board, you should have already set your intentions, or at least have an idea on what your intentions are for the year. Take as long as you want to reflect and figure out what you want to accomplish in 2019, as well as realistic expectations for the year. 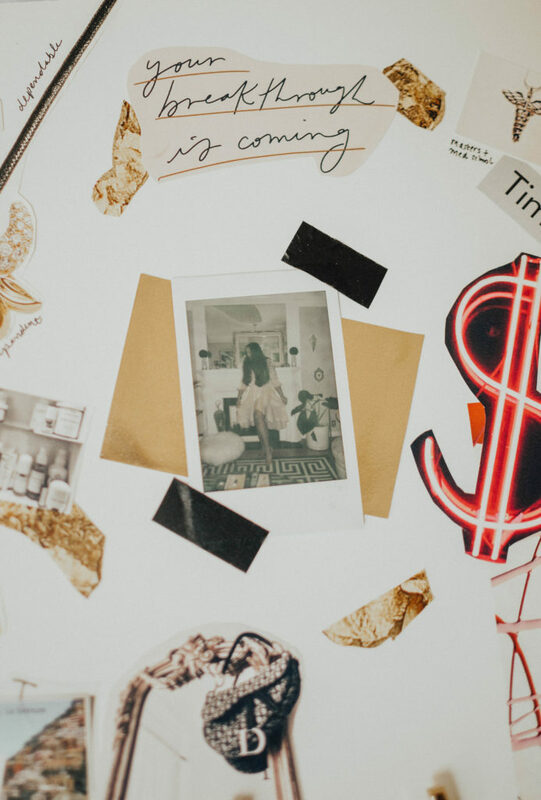 Once you mentally prepare, it’s important to set the space for actually making your vision board. I spread my supplies out on my dining room table, set up my favorite snacks (SmartFood popcorn and chocolate mini donuts), some water, and a good Spotify playlist. I invited one of my close friends, Melrose, over to make one as well. Good vibes all around! 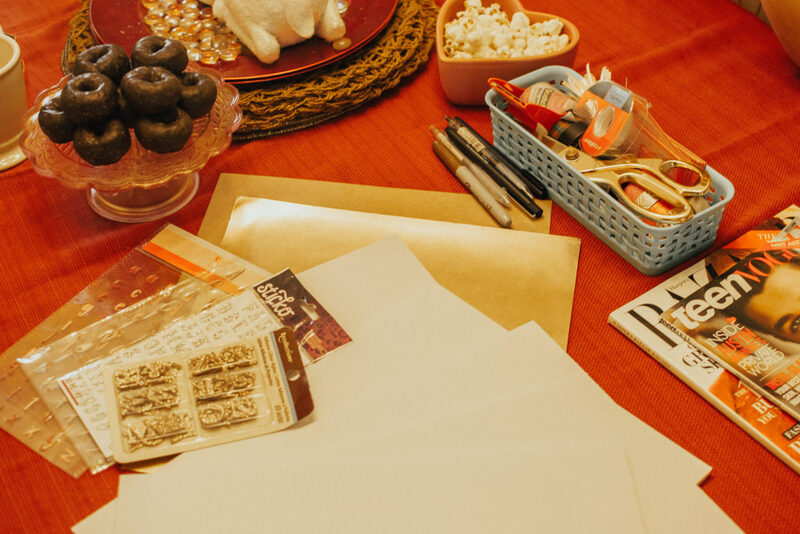 All of the supplies needed are listed in my Vision Board Guide that you can sign up to receive at the end of the post. I found smaller foam boards at Michael’s in a pack of four, as well as scrapbooking paper that I wanted to incorporate in my vision board. It should be a fairly feasible project; I used a bunch of old craft supplies including Target dollar spot finds and a couple of old magazines I had laying around. Any pictures I wanted to include but didn’t have on-hand were printed off of Pinterest using glossy printer paper from Walmart. 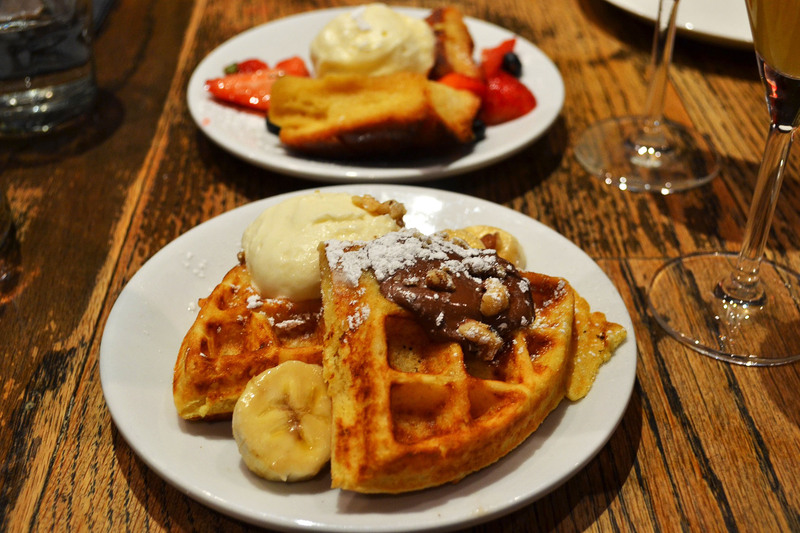 This comes as a no-brainer, but your vision board should be 100% YOU. That’s why I tried to stick to my ‘aesthetic’ as much as possible, using black tape and gold accents. You’ll want to separate the board into four sections: personal goals, professional goals, big dreams, and a checklist of attainable, specific goals. (Credit for this concept goes to Marianna Hewitt of Life With Me). I included a picture of myself in the center because I personally believe it makes my vision board clearer, but that’s optional. In the picture, I’m posing at an Airbnb I stayed in last year, which turned out to be my dream apartment. 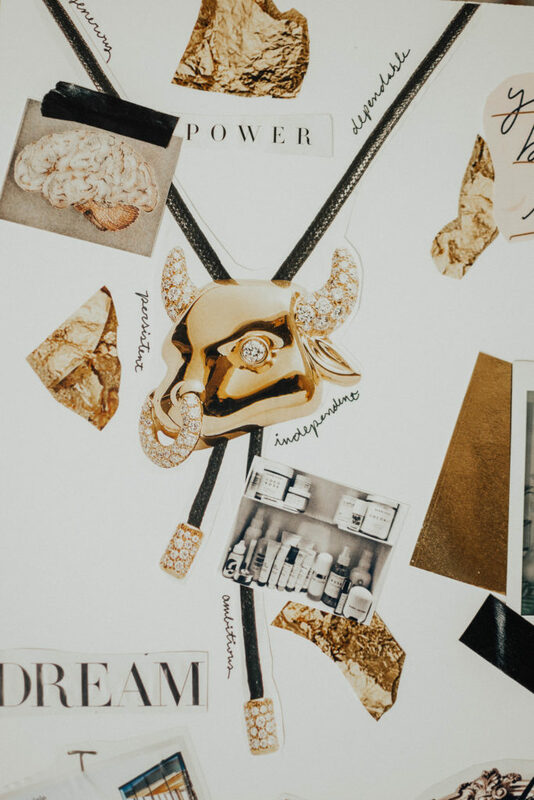 One of the favorite parts of my board is my ‘personal goals’ section, which features a picture of a bull/Taurus necklace that, of course, retails for over $10,000. I found the picture in Harper’s Bazaar and I wanted to include it because I’m a Taurus through and through. There are many Taurean traits that apply to me, so I chose some of the best ones to write around the necklace picture. This is the time to do exactly what you want to do. 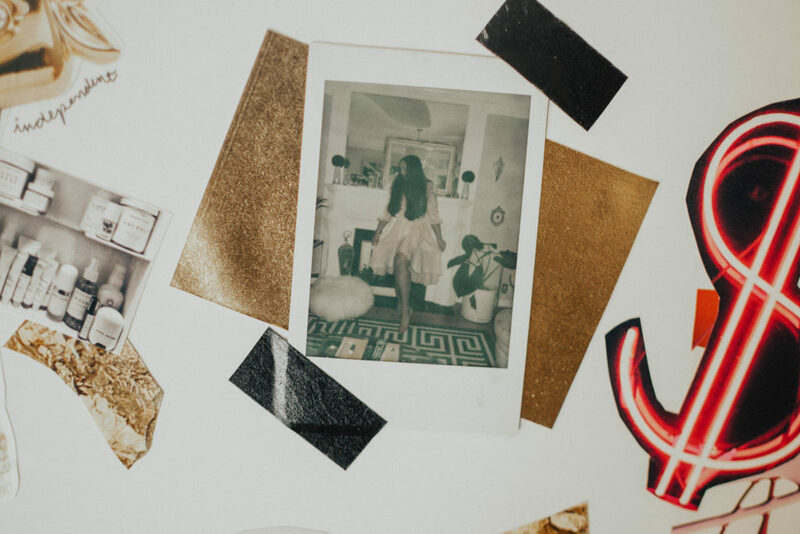 There’s no time limit and no expectation of what your vision board should look like. That’s the beauty in it! It’s okay if you have to re-do part of it because you’re not satisfied with it. You have to look at it every day (well, you should), so make sure it represents your vision one-hundred percent. If you’re ready to get started on your vision board and manifest your best year yet, go ahead and opt-in in the form below to download the free guide I made. Feel free to tag me in your vision board making on Instagram!